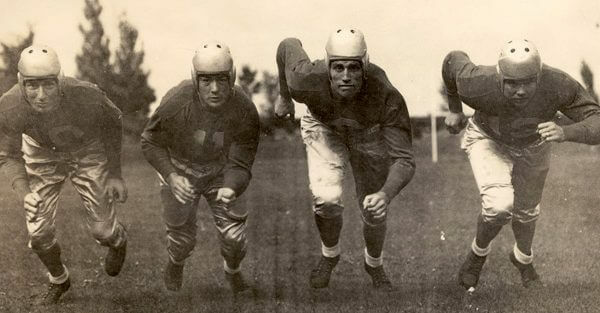 Despite great success on the field, poor revenues and the Great Depression threatened the Spartans’ survival. In 1934, a group led by Detroit radio executive George Richards (owner of Detroit’s powerful WJR) bought the financially struggling Spartans and moved them to Detroit and renamed the team the Detroit Lions, as a nod to the Detroit Tigers. He also said that the lion was the monarch of the jungle, and he intended for his team to be the monarch of the NFL. Through Richards’ radio connections, the Lions were able to play a Thanksgiving Day game in their first season in Detroit, a tradition that continues to this day. In the mid-1960s, the Lions served as the backdrop for the sports literature of George Plimpton, who spent time in the Lions training camp masquerading as a player. This was the basic material for his book Paper Lion, later made into a movie. In 1963, Plimpton attended preseason training with the Detroit Lions of the National Football League as a backup quarterback, and ran a few plays in an intra squad scrimmage. These events were recalled in his best-known book Paper Lion, which was later adapted into a feature film starring Alan Alda, released in 1968. 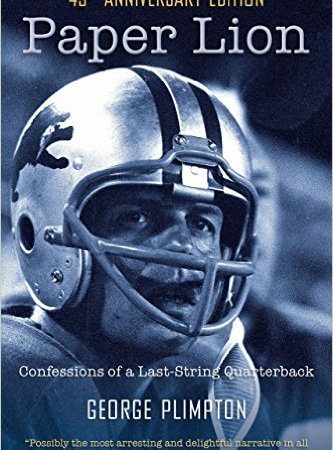 Plimpton revisited pro football in 1971, this time joining the Baltimore Colts and seeing action in an exhibition game against his previous team, the Lions. These experiences served as the basis of another football book, Mad Ducks and Bears, although much of the book dealt with the off-field escapades of football friends such as Alex Karras and Bobby Layne. Another sports book, Open Net, saw him train as an ice hockey goalie with the Boston Bruins, even playing part of a National Hockey League preseason game. On November 22, 1963, Ford purchased a controlling interest in the Detroit Lions of the National Football League, from Edwin Anderson and Lyle Fife for $4.5 million. He was also chairman of the short-lived Detroit Cougars, a professional soccer team, which played in the USA and NASL leagues. On Thanksgiving Day, November 28, 1974, after over 35 years, the Lions played their final game in Tiger Stadium, where they lost to the Denver Broncos 31–27 in front of 51,157, amidst snow flurries and a 21-point Broncos 3rd quarter. 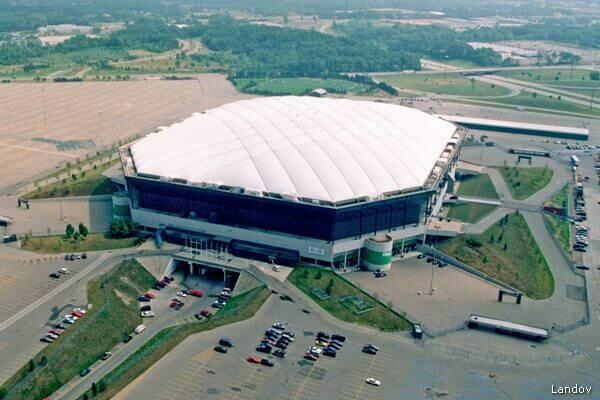 The Lions moved to the newly constructed Silverdome and have played their home games indoors ever since at Ford Field since 2002. 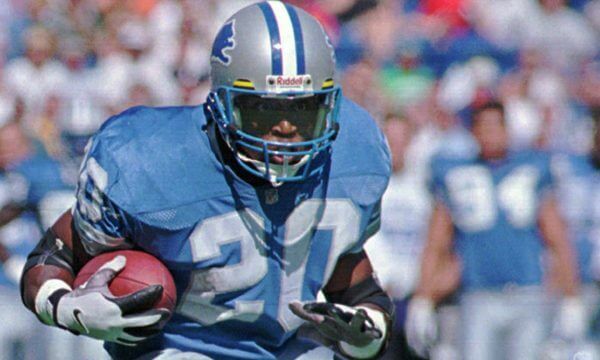 Barry Sanders delivered an excellent performance in 1990, but the team only finished 6-10. Sanders won the first of his four NFL rushing titles that season with 1,304 yards, beating out Buffalo’s Thurman Thomas by seven yards. The Detroit Lions are a professional American football team based in Detroit. The Lions compete in the National Football League (NFL) as a member club of the league's National Football Conference (NFC) North division. The team plays its home games at Ford Field in Downtown Detroit. Originally based in Portsmouth, Ohio and called the Portsmouth Spartans, the team formally joined the NFL on July 12, 1930 and began play in the 1930 season. Despite success within the NFL, they could not survive in Portsmouth, then the NFL's smallest city. The team was purchased and relocated to Detroit for the 1934 season. 1964 - 2014 / William Clay Ford, Sr.
Who is the greatest Detroit Lions? 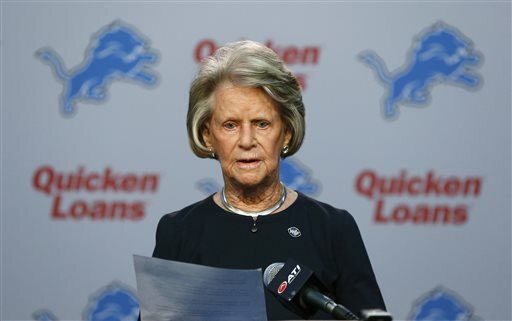 The Detroit Lions are a professional American football team based in Detroit.